It’s Saturday morning, the church is free, the organ is free, and most importantly you have a spare half an hour whilst Mrs stmarysorganist takes the children into town. Just enough time to get to grips with that bit you always mess up in the G minor Fugue. (You know the bit where all fingers, thumbs, toes, ankles, legs and arms are spinning in opposite directions?) Your whole body is relying on your gluteus maximus doing a job it wasn’t designed for. The church is open to the public – what could possibly go wrong? “Yes – are you visiting?” (said in a ‘charming-organist-of-church-not-wanting-to-offend-anyone’ kind of way). “Yes – we’ve never been to this church before. You know it’s so nice to come into a church and hear the organ being played. I’m Ernest Lee-Blathering and this is my wife, Constance.That piece sounds difficult – having some trouble are you?”. Pom diddle-diddle-dee, Pom diddle-diddle-dee, doodle dum dum dum…. “it sounds like I’d better hurry up then. “. Now, which other musical instrument can grant you the public scrutiny of your technical failings coupled with a discussion of your inadequacies, as the organ?! 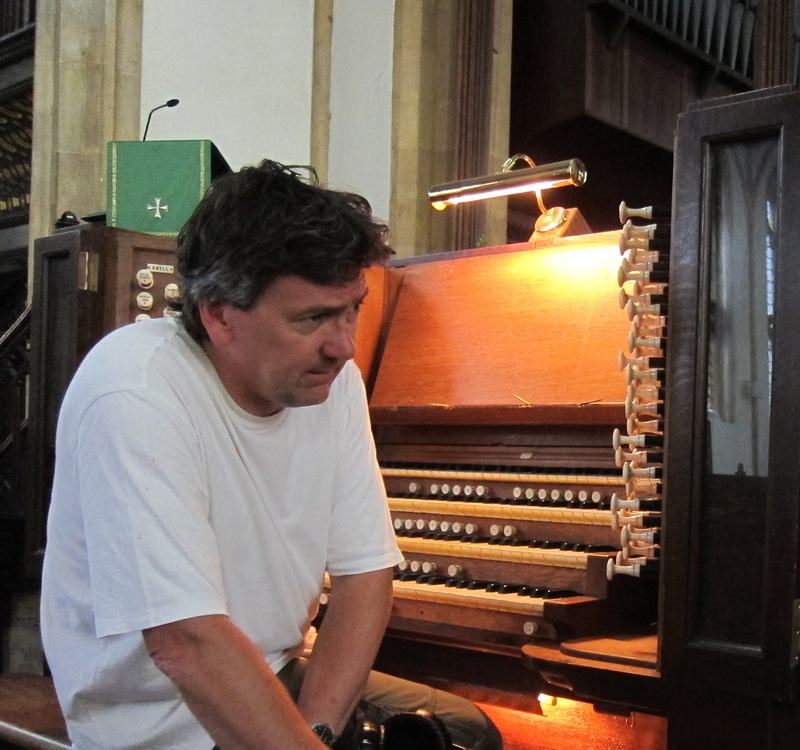 There you are, at peak concentration trying to master the intricacies of the ‘King of Instruments’ and also holding a conversation with a visitor, during which if you even hint at irritation, you know that a complaining email will be zinging its’ way to your Vicar before you have even had time to switch the blower off! I remember one practice session, when I was blissfully hacking my way through Widor’s 6th, I casually looked in my mirror to see a couple of hunded oriental students who had noiselessly visited St M’s – most or whom were recording my ‘performance’ on their iPhones. So, somewhere on YouTube I’m sure there will be a hilarious video of an organist turning around and jumping three feet in the air with a startled yelp! Yes – that’s me! 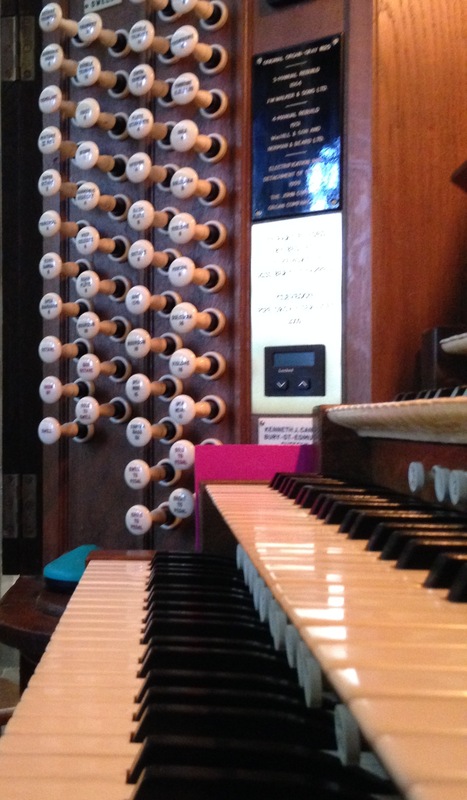 At other times, my frenetic fumblings ( ie ‘practice’), have been accompanied by vacuum cleaners, several wedding rehearsals, a visit by the fire brigade, many talkative visitors and on a couple of occasions – some rather famous cathedral organists on holiday! 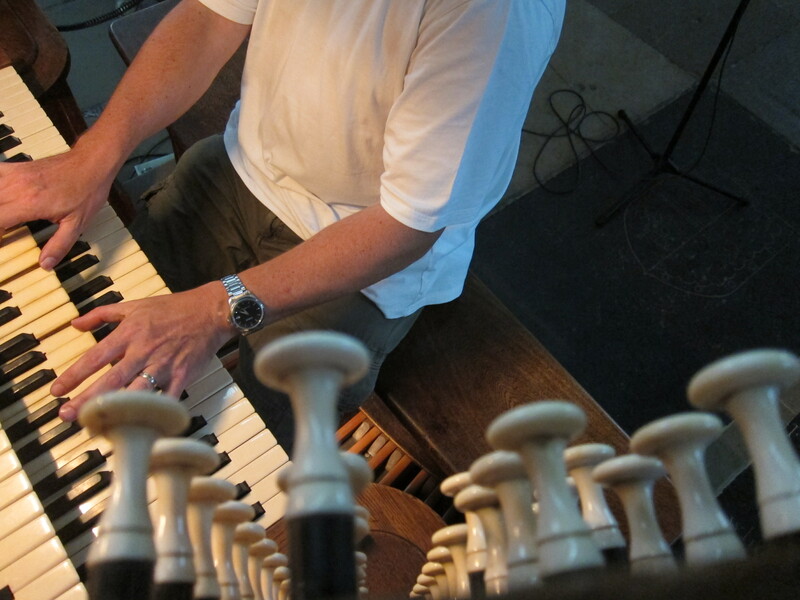 So – those organists who are up in the stratosphere, in a loft – I envy you! Spare a thought for those of us on ground level, It may be a hefty and dizzying climb to your eyrie, but at least you have a fighting chance of getting the G minor nailed! I do miss my loft. Although I do not miss the Hammond C3 that was in it. I usually practice when the church is closed, apart from an occasional flower arranger, cleaner or clergy passing through…that way I can fluff everything up to my heart’s content and swear without fear! Headphones. 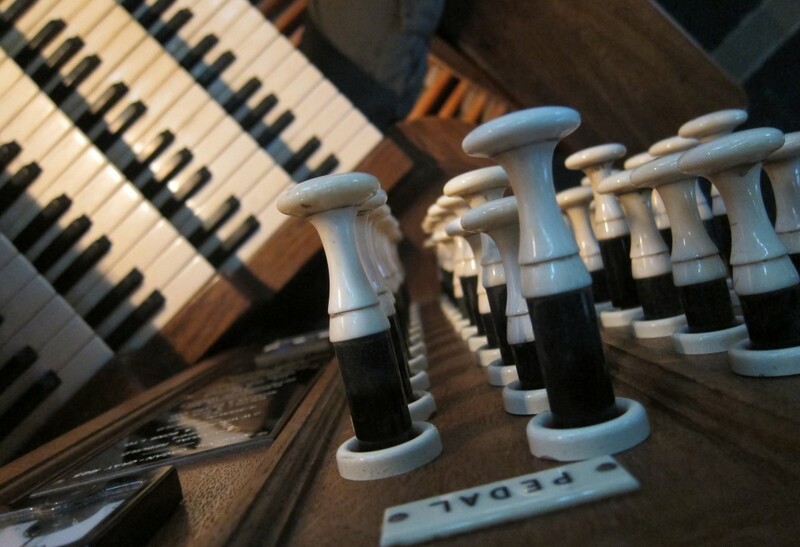 You’ll still be able to hear the organ perfectly well and no one bothers to speak to someone wearing headphones!